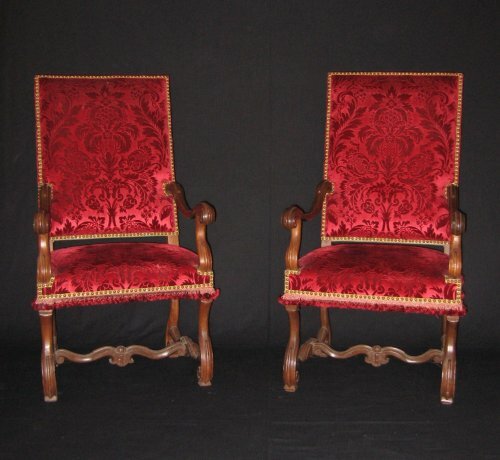 The seventeenth-century fauteuil has a sturdy but elegant appearance. 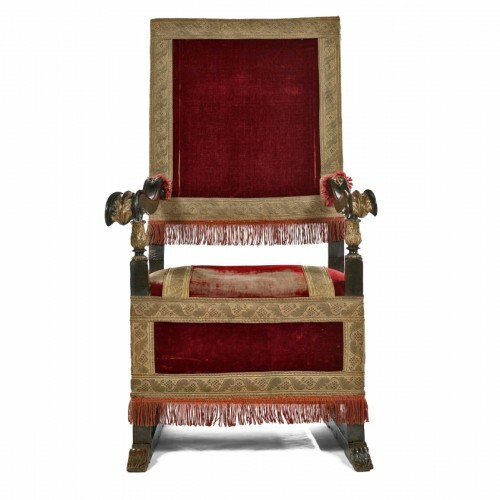 During Louis XIII’s reign, these seats were referred to as a chaire or chaire à bras (‘pulpit’ armchair), which was considered to be a comfortable chair. 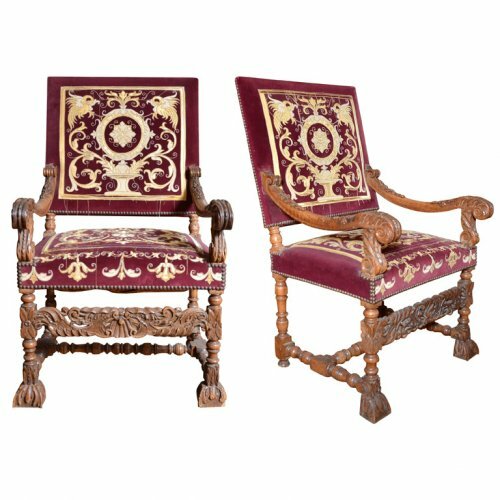 Covered with leather or tapestry held in place with studs, seventeenth-century armchairs were adapted to the body’s curves to improve comfort: they are characterised by a lower seat, a back slightly inclined backwards, a padded backrest, and arm supports that curve downwards. The Louis XIII style is characterised by the mutton-bone arm supports and legs, which were spiral or knobbed (en chapelet). In Louis XIV’s time, the seventeenth-century fauteuil codified ranks and Court practices, and retained the legs, cross stretchers, and the mutton-bone arms. It gradually changed to a design using arm supports. 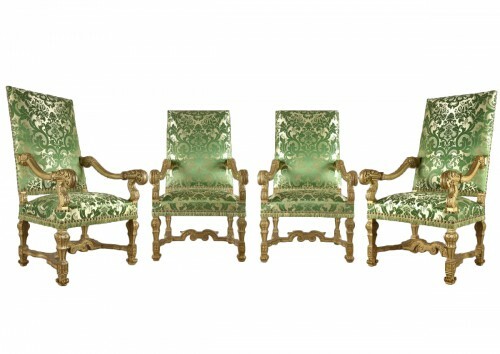 A new form of Louis XIV fauteuil appeared: the confessional fauteuil fitted with padded arm supports and a back with two wings.